The Narrative Lectionary points us to Matthew 13:24-43 this week (and Psalm 84:1-7). This chapter begins with the parable of the sower (another seed story), but it is not in our text. In our section of parables, we have stories about weeds being sown in a farmer’s field, small seeds that yield tree-like plants, and a giant 60-pound ball of dough that needed to be kneaded. As I look at this set of parables I wonder about the wisdom of including such a large chunk of varied stories – I don’t think any preacher will be attempting to cover them all. Some seem to be connected. The parable of the weeds is told in one section, explained in another. 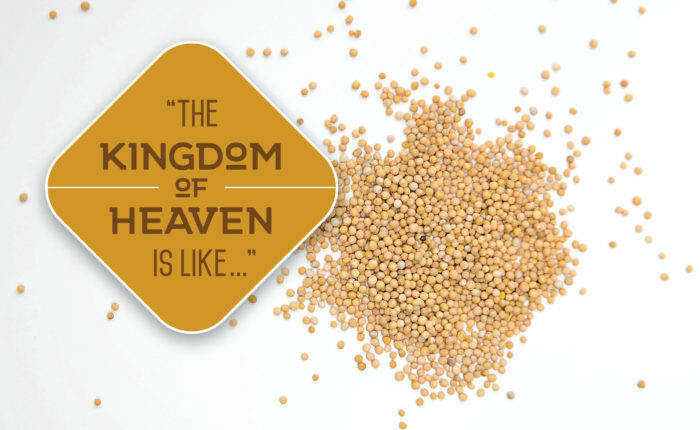 The twin parables of the mustard seed and yeast seem to be making the a similar point, though not identical. In the midst of these amazing stories is the statement that “Jesus spoke all these things to the crowd in parables; he did not say anything to them without using a parable. So was fulfilled what was spoken through the prophet…” (Matthew 13:34-35a). I suppose one could present a message about the teaching methods of Jesus, but I don’t expect that to enthrall the congregation. No, one must settle in on the stories that will meet the needs of the congregation to which one speaks. I’m going to venture a guess that there will only be a few preachers breathing fire and brimstone about the evil ones being tossed “into the blazing furnace, where there will be weeping and gnashing of teeth” (vs 42). But we might need to hear it. The Parable of the Weeds is given a lot of space here, particularly because Jesus explains it to the confused disciples. The work of the enemy in the wider kingdom of God (the whole earth, vs 38) is recognized. It is not the responsibility of the disciples to rid the world of evil ones, God will do that in His time. The “harvesters” in verse 30 are those heavenly beings who will return with the Lord (vs 39). They will gather up the evil ones and “tie them in bundles to be burned“. The ones who are cast into fire are described as “everything that causes sin and all who do evil” (vs. 41). Most Evangelical eschatology contains both good news for the believers and bad news for those who reject the gospel (2 Thessalonians 1:7-10). The conclusion, though, is that “the righteous will shine like the sun in the kingdom of their Father” (vs 43). We are encouraged to “hear” this message. The parable is told to large crowds who came to hear him (vs 2) but the explanation is reserved for the disciples. So is the parable an encouragement to the righteous or a warning to the wicked? Yes. 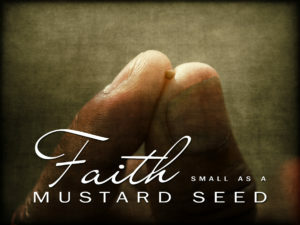 I believe I am going to focus on the parable of the mustard seed and the giant ball of dough. Both of those impress upon me the influence of the spreading Kingdom. The seeds emphasize the exponential grown from the smallest to the largest. The dough reminds us of the pervasive nature of our influence. What does that say to those of us who feel they have very little faith? If you choose to preach about all of this text, I’d love to hear about how you’ll intertwine it all. Matthew presents this text as having been given to the crowds that came to hear Jesus. He was the Master Teacher and if anyone could weave these parables into one message, He could. However, I think it more likely that Matthew composes his gospel carefully and has compiled some narratives for us in an order that seems good to him and his guide the Holy Spirit. There are three more parables that follow, but they are not in our text. You’re welcome to join my Facebook group, Narrative Lectionarians, where share resources on the weekly Narrative Lectionary texts and sometimes discuss them.